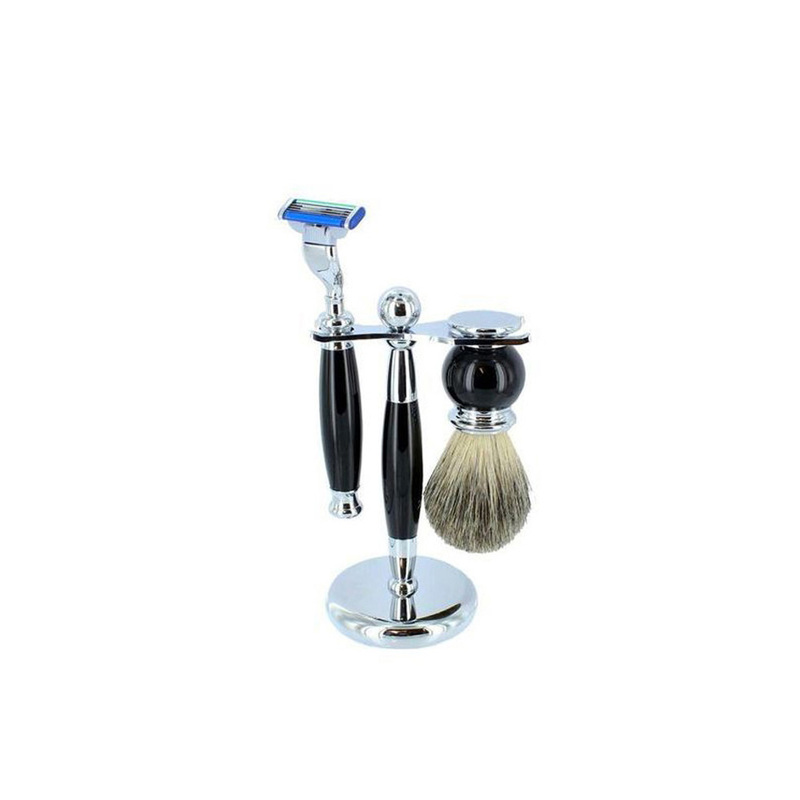 This black shaving set from Sarome comes with a razor arm badger hair brush and stand. The razor required is a Gillette Mach 3. RAZORS NOT INCLUDED.